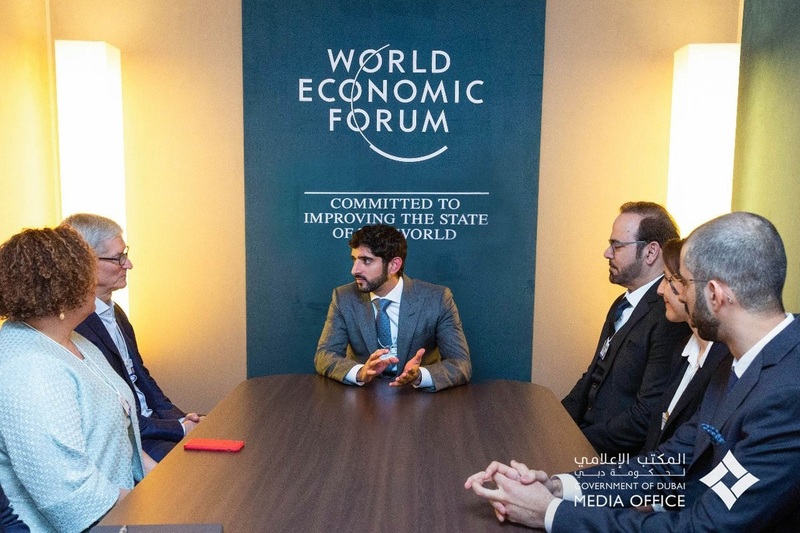 Dubai: Shaikh Hamdan Bin Mohammad Bin Rashid Al Maktoum, Crown prince of Dubai and Chairman of the Dubai Executive Council, met with top technology executives at the World Economic Forum (WEF) in Davos, Switzerland. Shaikh Hamdan met with Tim Cook, Apple’s chief executive officer, as well as Chuck Robbins, CEO of Cisco. The crown prince said the UAE understands the “important role of technology” and is keen to enhance partnerships. y. He highlighted the important role of leading technology companies in developing the future of the digital economy. The crown prince said technology companies actively contribute in developing the global economy by developing the technical infrastructure for digital investments and a knowledge-based economy.